MemberSuite harnesses cloud-based deployment to offer member-based organizations an integrated, enterprise-level association management system (AMS). The software is made up of 20+ modules and offers extensive customization to suits the needs of associations and non-profits alike. The full membership lifecycle from application to renewal can be administered from one location, setting tiered pricing options, tracking members, generating invoices and allowing public self-service via an online members portal. Email communications and marketing campaigns can be designed using the built-in WYSIWYG editor, and scheduled, tracked, and measured. Event and meeting management capabilities include the setup of registration parameters, agenda creation, resource logistics and discount promotions, while exhibitor, sponsor, speaker and abstract management tools are also included. CRM integration offers a 360-degree view of members within the membership database with full editing, relationship tracking, data syncing, duplicate detection, and the ability to add an unlimited number of custom fields. Program management functionality adds the ability to recognize members with awards and encourage engagement through competitions, assign learning management (CEU) credits, track certification and also coordinate volunteers. The eCommerce module processes online storefront orders, shipping and payments, with inventory management features for tracking product stock levels across multiple warehouses. Fundraising tools allow organizations to accept voluntary contributions, and MemberSuite also handles financials with billing management and invoicing, while also offering third-party accounting software compatibility for connection to leading packages such as QuickBooks, Sage, and more. Built to support associations in making data-driven business decisions, MemberSuite's additional analytics tool offers a dashboard-based reporting solution. With out-of-the-box visualizations on membership counts, event registrations, payments received and more, MemberSuite Insights requires no extra setup, configuration or programming by leveraging data already centralized by the MemberSuite platform. MemberSuite: customizable, user friendly, and the best CRM/AMS I've used. I'm the database administrator for a member-based non profit organization. We've been on membersuite for about a year and a half, coming off an AMS that seemed to break a little more with each patch. The difference in getting switched over was immediate and a huge improvement for our employees and our members/customers. We have a large number of business functions that we used to outsource to third party vendors because we lacked the ability to do them well in our old database, including event/exhibitor registration, abstract submissions, award nominations and judging, and email marketing campaigns. Since switching to membersuite, we've brought all of these back in house, since membersuite's tools and functions are easily as good if not better than the vendors we would use. We've also been able to automate a huge number of business functions that used to take hours of staff time daily/weekly. Overall, membersuite has streamlined many of our functions and processes, improving them greatly from where we came from, and allowing us to expand our thinking of what's possible through our CRM/AMS. I have no regrets about making the switch and I've gladly recommended membersuite to other database admins/IT professionals. The reporting tools are the best I've ever used: it's incredibly easy to filter and tune reports towards exactly what you need for any given data set. Customizing your database's back end towards your needs is really easy and makes the system incredibly versatile. Users have reported a much better experience with membersuite than our old database, particularly in terms of online purchasing and event registration. The reporting tools are the best I've ever used: it's incredibly easy to filter and tune reports towards exactly what you need for any given data set. Customizing your database's back end towards your needs is really easy and makes the system incredibly versatile. Users have reported a much better experience with membersuite than our old database, particularly in terms of online purchasing and event registration. The lack of a spreadsheet import can be a hindrance. Also, there's no way to copy merchandise or most other objects in the system, which would be really helpful when creating a lot of inventory. MemberSuite runs the core of our business. There are several modules and systems that have been centralized, and the system is the primary system in which all member accounts and systems are referenced against. This centralization of our member ecosystem allows us to more efficiently and effectively manage our records with the staff resources we have.A competitive advantage MemberSuite has over other providers is the flexibility of its API and ability to integrate with other systems and its ability to customize fields and data import/exports to manage data. This makes the system scalable and allows for a more customized fit to meet business processes of the organization, while staying on a core product. 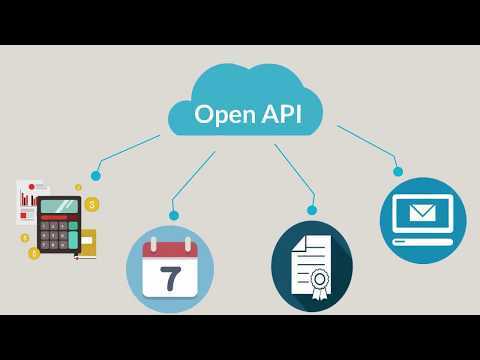 A competitive advantage MemberSuite has over other providers is the flexibility of its API and ability to integrate with other systems and its ability to customize fields and data import/exports to manage data. This makes the system scalable and allows for a more customized fit to meet business processes of the organization, while staying on a core product. MemberSuite knows it cannot be a one-size fits all or one-stop-shop for what dedicated systems provide, which is why integrations are important; however, there is basic functionality in the finance and marketing modules that if given a little more love could be decent baseline modules without the additional brute-force staff time it takes to make them operate efficiently. We are a membership association and we have an additional group of subscribers and stakeholders/ interested parties and we are able to manage all of that data and those relationships in MemberSuite. We have see significant improvement in the usability of the system and the responsiveness of the staff at MemberSuite since new CEO took over 9 months ago. Cudos to the Board for making the change. The release of Portal 5.0 will be a great leap forward and the expansion of the INSIGHTS reporting tools is huge as well.The software is easy to use. The training went well and we are able to self manage our entire database and customer relationships with a very small staff. The reporting package is good and getting better and there is a new layer of reporting software that provides even more granular information. The software is easy to use. The training went well and we are able to self manage our entire database and customer relationships with a very small staff. The reporting package is good and getting better and there is a new layer of reporting software that provides even more granular information. We came on the system at a time of significant growth at Membersuite and they were challenged to keep up with us and all the other new clients. Their culture has improved from a developer driven mentality to a customer facing mentality and that change, while welcome, has taken 24 months. Since using the billing process through MemberSuite, invoicing takes much less time for staff to process and our members are paying their dues more quickly since they can download an invoice from an email and pay online. We have also found the e-marketing included with MemberSuite so easy to use, we are canceling the contract we have with another e-marketing platform and sending all our emails through MemberSuite. It is intuitive to use. There are links and instructions all over the software to help you navigate and get the informaiton you need. Additonally, any information your organization puts in the AMS can be pulled out in reports. This was not the case in our previous software. It is intuitive to use. There are links and instructions all over the software to help you navigate and get the informaiton you need. Additonally, any information your organization puts in the AMS can be pulled out in reports. This was not the case in our previous software. There are reports included with the AMS and they are very helpful but they don't inlcude exaclty the information we'd like to see. We have been able to create reports to pull the information the way we want. However, I believe MemberSuite is working to make these reports more customizable. MemberSuite is a perfect fit for us! We are a small staff of 10 that services almost 3,000 members. We needed a system that allows us to customize pages and site easily. We use MemberSuite as our central "hub" for all things related to our association. We utilize API to link our registration company, our online journal and our technical papers. This API allows for SSO (single sign-on) and our members to use their one login to access all sites. We went live in 2015 after transitioning from a different AMS. The transition was really smooth and the customer service has been great. The ability to customize and the price point was perfect for us compared to other systems. The customer service is really good as well. The ability to customize and the price point was perfect for us compared to other systems. The customer service is really good as well. We have been anxiously awaiting the roll-out of the new customer portal. Request a demo and pricing quote via the MemberSuite website. MemberSuite's enterprise association management software (AWS) SaaS brings together membership admin, CRM integration, events and meetings management, communications handling, program management, eCommerce, financials and accounting. The platform offers over 20 modules including its core membership database, awards tracking, career center, certifications, committees, competition management, continuing education, document management, dues billing, and more. A self service member portal supports online registration with the ability to administrate and manage member directory profiles, plus auto-renewals of subscriptions with saved payment options. End-to-end accounting is made possible with connectivity support for leading financial packages including QuickBooks, Peachtree, Adagio, Dynamics GP, Sage Business Works, and Intacct, with other custom integrations also available. MemberSuite Insights is an optional analytics platform providing out-of-the-box dashboard reports and chart visualizations for viewing and interpreting association membership data such as member counts, demographics, event registrations and payments received. Below are some frequently asked questions for MemberSuite. Q. What type of pricing plans does MemberSuite offer? Q. Who are the typical users of MemberSuite? Q. What languages does MemberSuite support? Q. Does MemberSuite support mobile devices? Q. Does MemberSuite offer an API? Yes, MemberSuite has an API available for use. Q. What other apps does MemberSuite integrate with? Q. What level of support does MemberSuite offer?